“Acceptance is the answer to all my problems today. (Big Book of AA pg 417). I know this to be true but it’s so damn hard and I’m struggling with it. I have been agitated, angered, saddened, shocked, and hurt by what I have been watching on the news this week. I want to say I am feeling all of these things about the children that are being detained because their parents – heroes in my eyes – dared to want a better life for themselves and their family. I want to say that it is their cries that are breaking my heart and making me feel so agitated. And to some extent it is. But if I’m honest, it’s more than that. The truth is, the real root of my anger is directed toward the people who are OK with that. I’m angry that there are people who I know profess Jesus as their Lord who are OK with treating immigrants like they are trash. I’m angry that there are people who lack mercy and empathy but seem to have plenty of law and judgment to dish out. But more than that, I’m angry that I can’t change any of it. I’m angry at myself that I have anger towards those people rather than mercy and love. I’m angry that I cannot seem to accept the world as it is or people as they are. And more than that, I’m angry that my refusal to be merciful and accepting of “those people” means I am no better than them and I’m left with nothing but my own self-righteous anger to stew in. I’m angry that deep down I know the Big Book is right, and until I accept them as they are where they are for who they are that I will never be happy. I’m angry that God is asking me to extend mercy to the merciless. Mercy is that thing I want all the time from God and everyone, which I’ll give aplenty to those who demand nothing of me personally but will horde from those whom I think should know better. Why can I have so much mercy for the addict who has lied a million times and ruined everyone’s life but none for the pious elder brother who has never left home? If I don’t find a way to love the latter I’ll once more become the former. I know this. So I picked up Anne Lamott’s meddling book, Hallelujah Anyway: Rediscovering Mercy, and began to binge. I knew I needed to gorge myself on mercy lest I die of thirst. She diagnoses me on the first pages. Mercy means that we soften every so slightly, so that we don’t have to condemn others for being total shits, although they may be that (Okay: are.) If I do so, it makes me one. As Father Ed Dowling said, sometimes heaven is just a new pair of glasses. When we put them on, we see the awful person, sometimes even ourselves, a bit more gently, and we are blessed in return. It seems, on the face of things, like a decent deal. 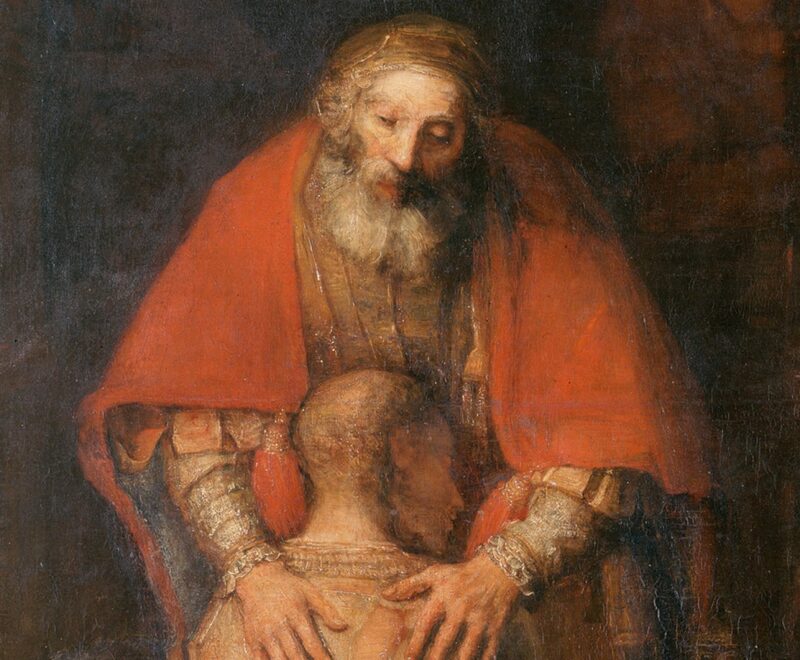 When we manage a flash of mercy for someone we don’t like, especially a truly awful person, including ourselves, we experience a great spiritual moment, a new point of view that can make us gasp. It gives us the chance to rediscover something both old and original, the sweet child in us who, all evidence to the contrary, was not killed of, but just put in the drawer. I realize now how desperately, how grievously, I have needed the necessary mercy to experience self-respect. All I have to do in order to begin again is to love mercy, if I am to believe nutty old Micah. Micah. She is, of course, referring to the prophet whom God told only three things were required of us mortals: Do justice, love mercy, walk humbly with God. I am a pro at dishing out justice. But if I’ve learned anything over the past few years, riding the justice train is my fastest ticket to relapse unless it is tempered with gargantuan doses of mercy (for both others and myself) while staying low, low, low to the earth. The path for me is acceptance. I can only get there if I remember to love mercy. I’m struggling this week having any for some folks, but I’m crawling up to the table like a beggar famished for some crumbs and asking God to give me some. Pingback: Acceptance is the key to all my problems and I’m angry about that | And Can It Be? Reblogged this at And Can it Be?